GOLD Coast will probably have a new captain next year as Gary Ablett deals with family issues and tries to regain full fitness. The two-time Brownlow medallist and the Suns' only captain has managed just 20 games over the last two years because of his ongoing left shoulder problems. He last played for the Suns in round 16, opting for surgery on the shoulder. It then emerged late last month that Ablett had sought a shock trade back to Geelong, a request the Suns rejected. That news prompted a message from Ablett to his Gold Coast teammates, explaining his desire to head home. "I just want you to know that there has been some pretty significant things going on in my immediate family and have been for a few years now," Ablett said in the message, which became public this week. "Over the last 12-18 months things have deteriorated which prompted me to consider the possibility of a trade. "I just want you guys to know that the club is aware of our circumstances and expressed their care and have offered to support where possible. "Please know that I am honestly REALLY looking forward to next year and being 100 per cent committed to you boys and the club, despite my own circumstances." Ablett added he did not think the trade would happen and it was an awkward situation. There was further drama this week when Ablett did not start pre-season training with his teammates as he completed a delayed honeymoon. While coach Rodney Eade said Ablett had the club's blessing for the extra week off, former Hawthorn and Gold Coast player Campbell Brown was critical of Ablett. Brown said on social media that fellow Suns players were "filthy" that Ablett was not there for the start of the pre-season. Ablett laughed off the accusation, replying that Brown had his number. Regardless of his injury woes, Ablett remains one of the game's biggest stars. He is contracted to the Suns until the end of the 2018 season. 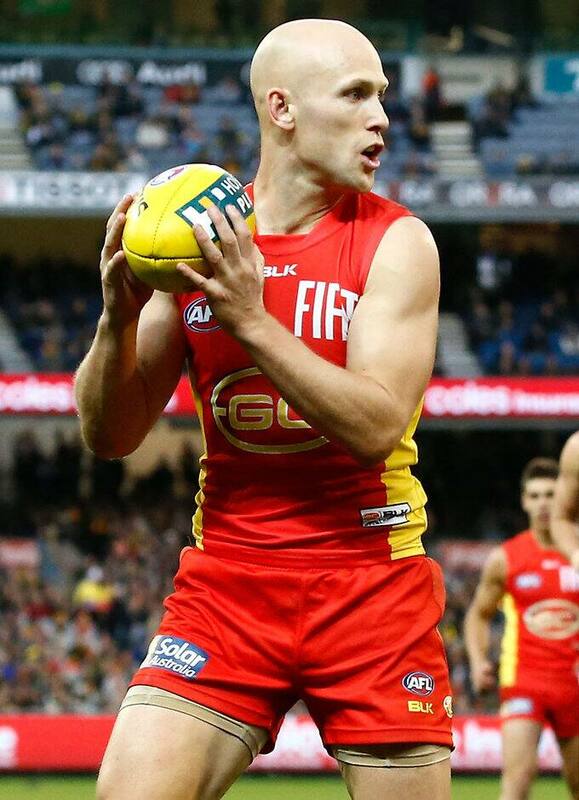 Losing Albett now was unthinkable for Gold Coast, especially given young guns Jaeger O'Meara (Hawthorn) and Dion Prestia had already left in last month's trade period. The 32-year-old has played 288 games since his 2002 debut with Geelong. After 192 games with the Cats, he joins Gold Coast for their inaugural 2011 season and has played 96 games for the expansion club.